David and Kanika's adventures together began one magical night in 2015 and they've been nearly inseparable since. He proposed one stunning night in New York filled with love, dinner, whiskey, and jazz. It began raining while en route to the Williamsbug Pier and with the Manhattan skyline behind them he dropped to one knee and Kanika made him the luckiest man alive. 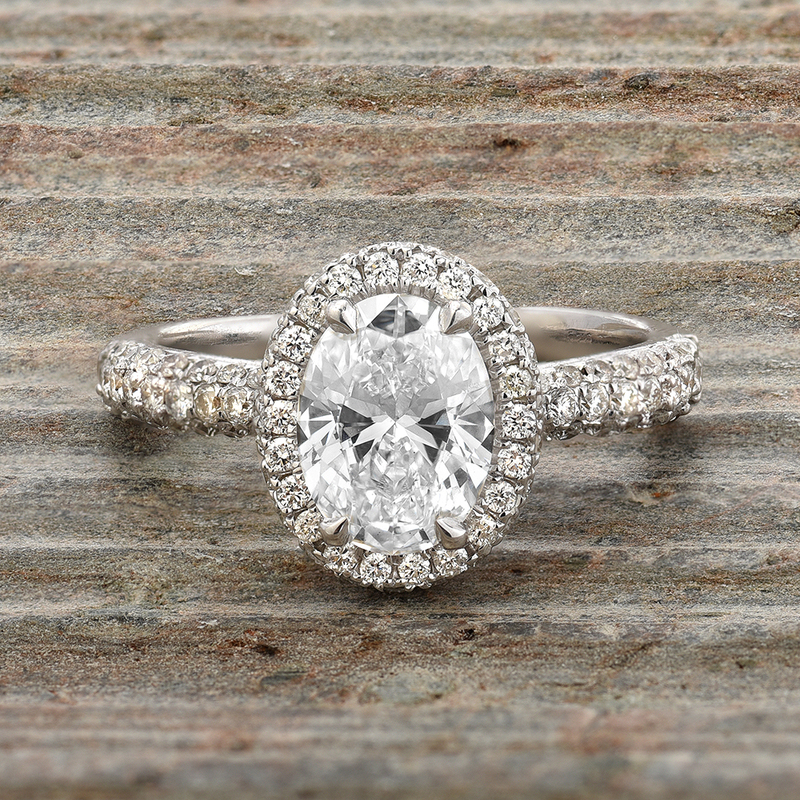 The Ring: David cherry picked a stunning 1.02 carat D/VS quality oval diamond for his bride-to-be. When picking out his diamond, he had his heart set on a D colored diamond (the highest color grade a diamond can receive) for the sentiment of his name which made his selection even more special. Kanika has had her heart set on a the rounded pave band for some time now so it was a match made in heaven when the center stone and ring came together.